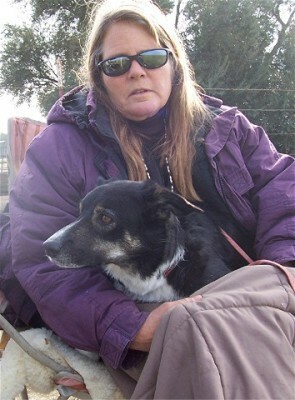 Stephanie Summers started learning to train Border collies back in 2002. And when that training started, horses started to deminish from her life. She currently has one horse left, and loves him dearly, but does not ride much any longer. 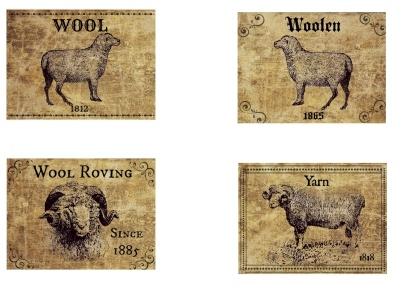 Instead, herding, mainly sheep has taken over her life. 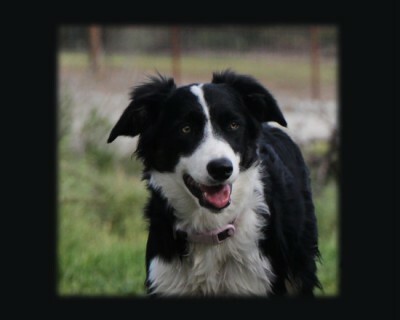 She currently runs a herding supply website, www.SheepdogHerding.com. 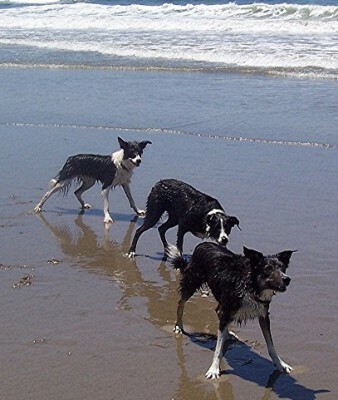 Four Border collies and a husband fill her life and give her plenty to do. Her dogs range in age from 10 years, just retiring from trialing, to 1.5 years old. 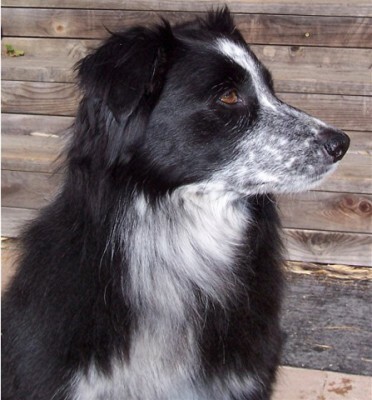 Kate is the oldest Border Collie in the pack. Born with hip dyplasia, surgery was given, and she never has looked back! Winning and placing in many trials, this girl took Stephanie to the 2012 USBCHA National Finals in which she competed in the preliminary round and scored well enough to get into the semi-finals, top 35 in the country. We all are very proud of Kate and her success. 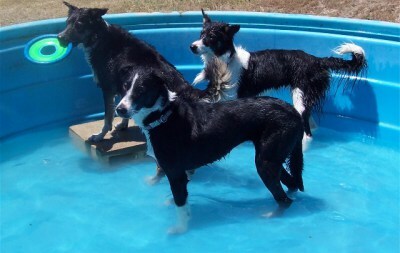 Kates favorite activites outside of herding are tugging with Tam and swimming. She has retired from trialing back in the fall. 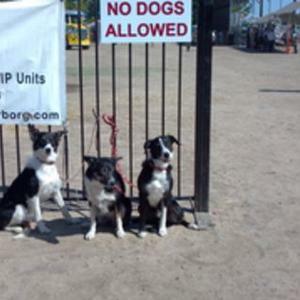 Not from herding, just competing. Tam is an exceptional girl. 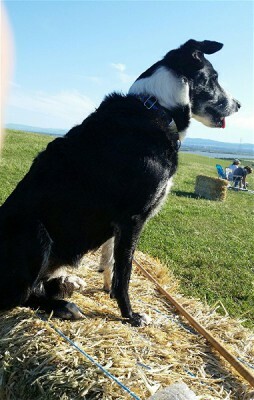 She is a smooth coat black and white with a strong eye and a fantastic ability to read sheep better than most dogs. She has won and placed at many trials, and took Stephanie to the USBCHA Nationals FInals in 2012 and in 2015 where she competed in the pleminary round. 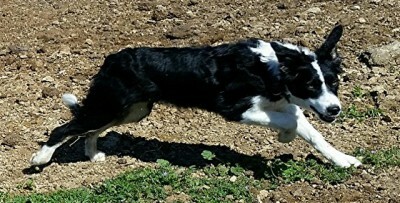 Tam's favorite activities outside of herding are swimming, chasing the ball and sleeping in bed with Stephanie and Matt. Christian has been a challenge for Stephanie to train. Being late to mature, there have been issues in her training that has held her back. She has just been moved up to the Open level as Stephanie thinks that she is finally, at 4 years, maturing and improvement has been seen in her sheep work. Her favorite activities outside of herding are chasing Tam when the ball it thrown and scream barking that pierces one's ears. She is the princess of the family. Corrie, aka Core, is the newest upcoming star. A super nice independent girl, she is really keen, with just the right amount of eye. 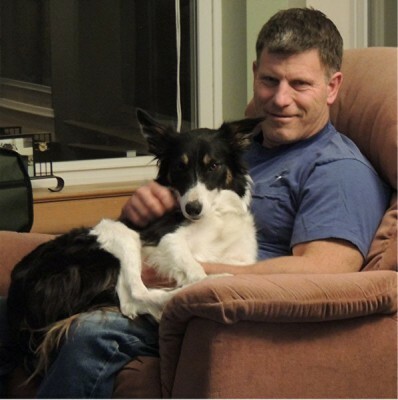 Fun to train on sheep, and should be this spring's 2016 nursery dog. Stephanie has really high hopes with this one, and reminds her of training up Tam. Lots of fun, but is a bugger too. Guess that is what makes them really good in the end. 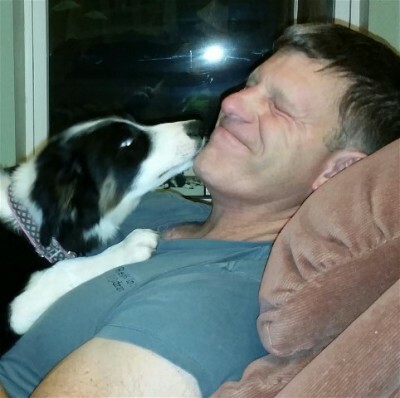 Corrie's favorite non-herding activities are chewing up anything that is not a toy!=bugger. She has a full coat and visits the water when ever she gets hot. Currently she is called Miss Peebody as she get excited when meeting people and leaks. And is starting to outgrow this behavior. 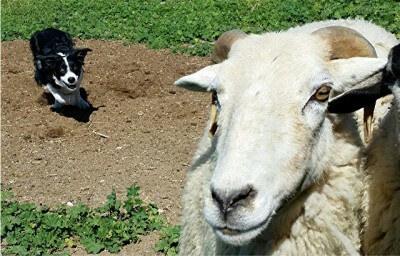 Bonnie was Stephanie's first herding dog, and who she learned herding from. 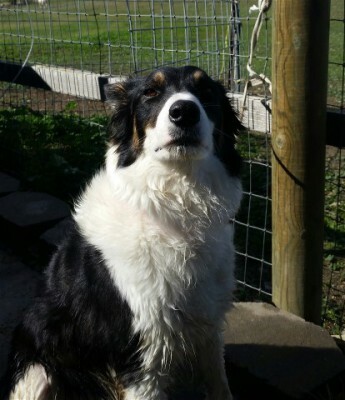 Starting at 6 years old, Bonnie tolerated all of Steph's mistakes, and excelled at ASCA herding. 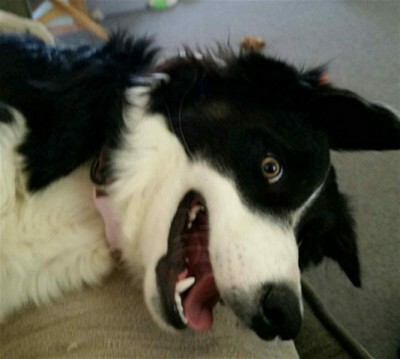 Being a Border collie Australian Shepherd cross, Stephanie always thought she looked like a Border collie, until she got Kate. Bonnie was a true blend of both breeds, and very biddable. Bonnie had a special ability to be able to focus on a specific single sheep, even in the middle of a large open field and a group of sheep, she would follow it until she could grab a front foot, trip it, and hold it until Stephanie was able to catch up. This amazing ability proved very valuable during the years that Bonnie herded for Steph. 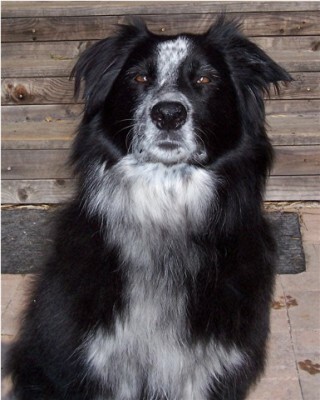 Bonnie was always bouncing and found out later that the Australian Shepherd side of her was the bouncing side, along with her loyality to Stephanie. When Bonnie was young, she would drive Steph crazy following her EVERYWHERE. 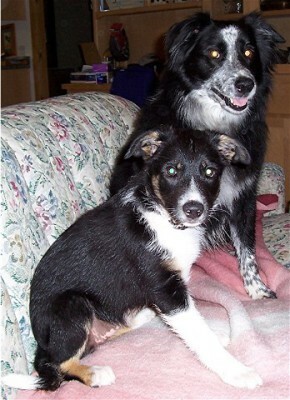 Above right is Bonnie with Kate as a pup. Kate would constantly grab her hair below her chin and chest and tug and tug, all the while Bonnie would merely tolerate her.